1. Top U.S. Boarding schools are most prestigious secondary schools in the world. 2. Many boarding school graduates get admitted to the prestigious universities all over the world every year, this includes universities such as Harvard, Yale, Princeton, Brown, MIT, Carnegie Mellon, Johns Hopkins, etc. 3. Students who study abroad can study for an extended period of time. Their high school diploma/certificate can then be recognized as valid in their home countries as well as other countries. 4. Students of top U.S. boarding schools live in residential houses located within the campus itself with other top students. They can take advantage of copious campus facilities and activities and they get incorporated into the student community. 5. Students of boarding schools obtain F-1 visas that secure the same rights the American students have. They will find no obstacles in pursuing their further studies not only at prestigious American universities, but anywhere else in the world. 6. Parents want the best return on investment for children’s education. Dr. Lowe’s Private School Visits: Other independent educational consultants may depend on telephonic interviews, group speed meetings in central locations, or simply read literature and review websites and repeat it to families. As an admissions expert, I physically visit schools and actively interact with school admissions personnel, senior administrators and students. My clients are, therefore, placed in the most appropriate school for their (and their parents’) happiness. My approach ensures that your child will be placed in the best and most appropriate top-choice school. By understanding, analyzing and researching a specific school’s atmosphere, vibe, rhythm, tone, color, experience, culture diversity and mission, my team and I can clearly articulate what differentiates one school from another to consumers/families. Dr. Paul Reginald Lowe is the managing director and lead admissions expert at Pinnacle Educational Center Admissions Advisors Group’s Boarding School Admissions Consultants and affiliate of Private School Admissions Advisors. Dr. Lowe specializes in providing exclusive concierge-type admissions advisory services for U.S. and international students who are interested in applying to top U.S. boarding and private schools. Dr. Lowe helps U.S. and international students gain admissions into top U.S. boarding schools even after they have been wait-listed and rejected. Dr. Lowe and his team of admissions advisors also visit prestigious and elite private schools, where they have the unique opportunity of interacting one-on-one with heads of schools, directors of admissions and senior admissions personnel. In April, I had the great opportunity to visit Phillips Exeter Academy, one of the top U.S. boarding schools. I also had the opportunity to visit it again during the summer to observe its summer camp. When I visit schools, I make the time to see admissions officers, enrollment managers and heads of schools to keep abreast of their admissions policies, school changes and trends. In this way, we obtain knowledge to help our clients. Exeter is just a fabulous school! The class sizes are small. I visited several classes and the average class size was 10 students. The students were intellectually engaged and motivated. There was much collaborative and cooperative learning in each of the classrooms I visited. As I toured the campus and visited classrooms, I also saw diversity in culture and race. I had several discussions with international students and they all had such praises about the Exeter experience and its exciting community. Each year, we place several U.S. and international clients at Exeter and they all talk about the Extraordinary Exeter Experience! Many of our clients from China have attended Exeter and have moved on to the Ivies. One Chinese client who graduated now attends Harvard. Another attends Yale and another attends Brown. All stated and agreed that the Exeter experience prepared them well for their perspective universities. Abundance of student clubs and organizations: Over 150 ranging from Academy Belly Dancing Society to Zumba Club. Exeter also encourages students to start their own club. The Extraordinary Exeter Experience: Life-changing experience in the Exeter community and interaction with of students from 44 states, the District of Columbia and 30 foreign countries. Happy students: The students were approachable, helpful and happy. Other consultants may depend on telephonic interviews, group speed meetings in central locations, or simply read literature and review websites and repeat it to families. I physically visit schools and actively interact with school admissions personnel, senior administrators and students. My clients are, therefore, placed in the most appropriate school for their (and their parents’) happiness. My approach ensures that your child will be placed in the best and most appropriate top-choice school. 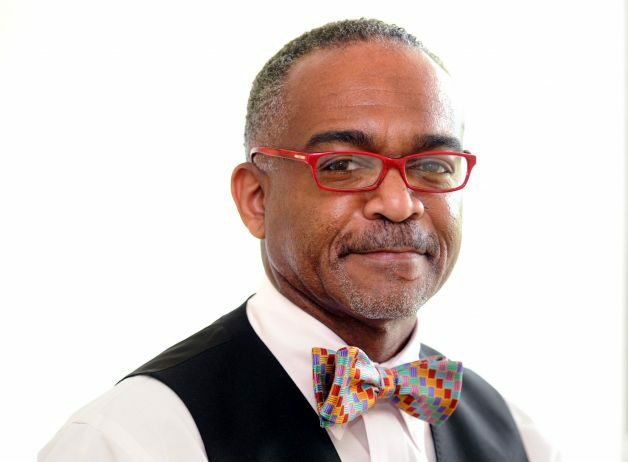 Dr. Paul Reginald Lowe is the managing director and lead admissions expert at Pinnacle Educational Center Admissions Advisors Group’s Boarding School Admissions Consultants , an affiliate of Private School Admissions Advisors. Dr. Lowe specializes in providing exclusive concierge-type admissions advisory services for U.S. and international students who are interested in applying to top U.S. boarding and private schools. Dr. Lowe helps U.S. and international students gain admissions into top U.S. boarding schools even after they have been wait-listed and rejected. Dr. Lowe and his team of admissions advisors also visit prestigious and elite private schools, where they have the unique opportunity of interacting one-on-one with heads of schools, directors of admissions and senior admissions personnel. Do they really read and review everything? Yes, they do! Admissions officers are well practiced at reviewing details in applications as well as observing non-verbal cues that communicate a student and family’s character. Especially, the very selective private schools where the acceptance rates can be as low as 13%. The private school admission process is not formulaic. Many parents make the mistake of assuming that admissions is based on formula. By continually visiting private schools, we have observed that each admissions officer has their own way of evaluating applications and understand the unique individual admissions policies and nuances of each school. In addition to the above criteria, especially at the top private schools, admissions committees also consider a student’s character, family dynamics and how all the above components are interrelated to display a comprehensive view a student’s entire admissions profile. They are also looking for students who are going to be positive, active and engaged members of their unique community. They want to accept students who will do well and thrive in their school community and culture. We are admissions advisors who visit colleges and therefore who know what admissions officers and committees at different schools expect and don’t want to see in your applications and essays! Our insider-knowledge gives you and edge and helps you avoid mistakes on your application and essays BEFORE you press submit. Many parents who reside in New Jersey call our New Jersey offices in Fort Lee or Princeton seeking top boarding schools in New Jersey as an alternative educational environment to public schools and private day schools. Boarding schools that we have listed below have 5 Things in Common that all top boarding schools have including but not limited to, college admissions placement, facilities, small classes and culture. Year after year, we have placed students in these boarding schools and they have provided positive feedback about their experiences! Each year, my team and I visit top U.S. boarding schools. The admissions bar is pretty high to get accepted. For example, Phillips Academy receives 3,000 applications each year but only accepts about 13%, St. Paul’s acceptance rate is 16%, Cate School’s acceptance rate is 14%, Phillips Exeter’s acceptance rate is 18%. The annual tuition to these schools are on average $55,000 per year. With these low acceptance rates, the competitive admissions process and relatively high tuition why do parents continue to strive to have their children admitted to these schools? The answer is quite simple: Elite boarding schools are feeder schools to the Ivies! For the past three years, more than 20 Andover students have gotten into each of the following top schools: Brown University, Columbia University, Harvard University, MIT, Princeton University, Stanford University, and Yale University. With that type of track record, and the life-long relationships and contacts student make, its no wonder parents are more than willing to go through the competitive admissions process and invest over $225,000 in an elite boarding school education for their children. When parents call us to retain our services for admissions to top boarding schools they often ask us what is value or return on investment of our fee. Our response: Your investment at minimum, admissions to top boarding schools ($225,000), the eventual increased probability of admissions to the Ivy leagues ($250,000) and the life time value of an Ivy League degree!